In this guide, we’ll tell you everything you need to know about fixed annuities – how they work, how they’re customized, and how to evaluate whether using them to grow your retirement savings makes sense for you. For detailed examples of how fixed annuities work or to have a copy of this guide to read at your leisure, download the free Fixed Annuity Guide PDF. A fixed annuity is a tax-deferred retirement savings vehicle that provides fixed asset accumulation, much like a CD. With a fixed annuity, you can invest your savings over a specified time horizon (typically 3 to 10 years), earning a fixed return. The interest earned in your fixed annuity is not taxed until withdrawn, and your principal is guaranteed. A fixed annuity is… an annuity. An annuity is an insurance vehicle where a lump-sum amount is exchanged for a stream of payments going forward. What makes a fixed annuity an annuity is that it has the option to annuitize at the end of the contract term. You can also choose to leave your money invested at a renewable rate, withdraw all or a portion, or roll it over into a new fixed annuity. The distinction of being an annuity gives it tax-deferred status. More specifically, a fixed annuity is… an accumulation annuity. 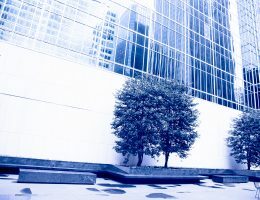 An accumulation annuity is bought for the growth potential of the money invested, and not as much for the ability to turn that money into income (as is the case with an income annuity). During the accumulation, or deferral, period your money will be invested with an insurance company and grow on a tax-deferred basis. You will have some access to your money – typically the interest or 10% of your balance – while it’s invested. Accumulation annuities grow either at a fixed rate (like fixed annuities) or grow based on market performance (as with variable and indexed annuities). 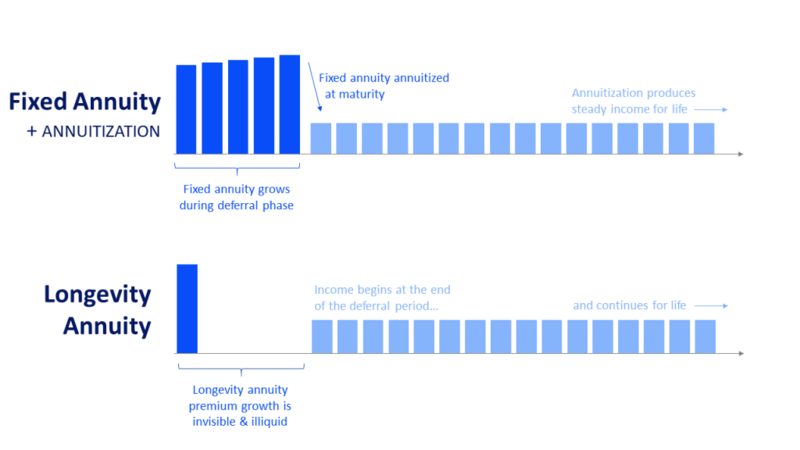 And finally, a fixed annuity is… a multi-year guaranteed accumulation annuity. Fixed annuities earn a fixed rate over a multi-year time horizon. The interest rate will be specified upfront and will vary based on the amount you’re investing, your investment horizon, the credit rating of the insurer, and market conditions at the time of purchase. At the end of the guarantee period, the rate may change. In summary, a fixed annuity is an annuity that operates much like a CD, offering low-risk tax-deferred accumulation at a fixed rate. A fixed annuity, also known as a multi-year guaranteed annuity (MYGA), provides a guaranteed rate of return for a predetermined period of time. It is most similar to a Certificate of Deposit (CD) that is offered by a bank or other-FDIC insured institution, except that it is offered by an insurance company. When compared to CDs, fixed annuities offer higher guaranteed crediting rates over longer time horizons (3-10 years), tax-deferred growth, the ability to annuitize upon maturity, and liquidity via penalty-free partial withdrawals for those 59½ or over. Does not cover all products or all companies. Specific information available by product upon request. Updated as of November 18, 2018. Another key difference is that fixed annuities can be annuitized at the end of the contract term. Annuitization is the process of turning a lump-sum of savings into a stream of steady income, guaranteed to last a number of years or for life. This feature is what makes annuities good for retirement income and qualifies them for tax-preferential treatment. Who Is a Fixed Annuity Right for? Just like with any product, fixed annuities might make sense for you, or they might not. We’ve compiled a checklist to help you figure out whether a fixed annuity fits your investment needs. The money you invest in a fixed annuity will accumulate at a fixed rate, which is specified upfront and guaranteed for the entire contract. 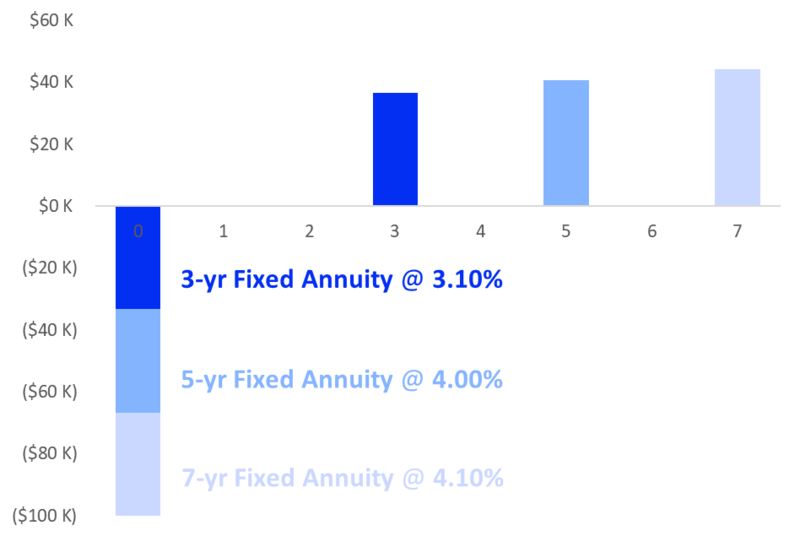 Fixed annuities generally offer higher rates than CDs with the same contract length. From the government’s perspective, an annuity is a retirement savings vehicle. As such, it receives similar tax treatment as IRAs: no taxes are paid until distributions are made. For a fixed annuity, this means that interest will accumulate and compound without incurring annual taxes, as is the case for a CD. Unlike with most other investments, there is no market risk associated with a fixed annuity. Your principal is protected and guaranteed to accumulate at a fixed rate, making fixed annuities a good place to park retirement money you don’t want to risk losing. 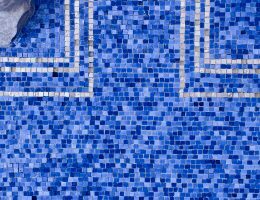 Fixed annuities provide some liquidity, typically making interest earned or 10-15% of the contract’s cash value available penalty-free annually if you’re over 59½. There are a lot of complex products, but a fixed annuity is one of the simple ones. Assuming you leave your money in the fixed annuity until maturity, all you need to know is (1) how long until your money is available and (2) what your return will be over that period of time. There are no hidden fees that you need to worry about. Fixed annuities are really meant to be used for retirement savings. The IRS issues a 10% penalty on gains withdrawn from a fixed annuity for account holders under age 59½ . While the fixed annuity has a lot of great benefits, it’s not the most effective way to generate income in retirement. Instead, fixed annuities are typically used for accumulation. There are other products that are better for converting assets into income, like income annuities. Top fixed annuity rates (yield to maturities) by term for insurers on the Blueprint Income platform as of 11/18/2018. Investment Amount: The higher the investment amount, the higher the rate. Larger fixed annuity investments will have access to higher interest rates. A portion of the insurance company’s expenses are fixed per contract such that incremental premium can essentially be invested without costing more. Said another way, there is a bonus for larger deposits. Insurer’s Credit Rating: The higher the insurer’s credit rating, the lower the rate, but the safer the investment. Given that fixed annuities are not backed by the FDIC and instead by guaranty funds which vary by state, it’s an important factor to consider. A fixed annuity is a CD-like investment which credits a fixed interest rate over a specified period of time. On a pre-tax basis, the value of the fixed annuity is understood simply by its interest rate, or the rate at which you’ll earn a return. But, fixed annuities are even more valuable on an after-tax basis. Unlike CDs, interest earned on a fixed annuity is not taxed until money is withdrawn from the contract. This not only means lower taxable income for you during the accumulation period, but also additional compounded interest. To illustrate the value of a fixed annuity, let’s take Kelli, a 55-year-old starting to prepare for retirement, as an example. Kelli has $800,000 of post-tax savings that she’s set aside for retirement. It’s currently invested in the stock market, but she’d like to move $100,000 to something safer. She’s considering a 5-year CD or fixed annuity. During her search, Kelli finds a 5-year fixed annuity returning 4.00%, significantly more than the 3.37% her bank is offering for a 5-year CD. This chart compares the growth of the two products and illustrates the power of the fixed annuity’s tax-deferred growth. Charts show cumulative interest and taxes. Fixed annuity rates based on a $100,000 MVA policy from Sentinel Security Life. CD rates based on a $100,000 investment with KS StateBank. Rates as of 9/7/2018. The fixed annuity will produce an extra $4,000 pre-tax ($2,900 post-tax) over the 5-year period. Considering Kelli’s age, timeline, and her plans to use the money for retirement, the fixed annuity is the more sensible investment for her. Plus, if she decides to roll the money over into another annuity in 5 years, she’ll be able to extend the tax-deferral. In our discussion of fixed annuities thus far, we’ve assumed that the purchase was made with after-tax personal savings. However, it’s also possible to buy a fixed annuity with qualified funds, such as within an IRA. 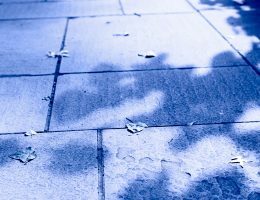 In this case, the fixed annuity doesn’t provide any additional tax benefits beyond what the IRA offers, which is tax-deferral of gains until money is withdrawn. There are no taxes due during the contract term. Your money isn’t subject to taxation while it’s growing. Not paying taxes means that you’re able to keep more money invested and earning interest. And, this benefit continues as long as you keep your money in the contract, which can be beyond maturity. Instead, you pay taxes once money is withdrawn whether during, at the end of, or after maturity of the contract. Assuming the fixed annuity was purchased with after-tax savings, only the interest gain portion of your withdrawal will be taxable at ordinary income rates. (If your fixed annuity is held in an IRA, all withdrawals will be taxable.) Waiting until you’re in retirement, or in a lower tax bracket, to withdraw can reduce the taxes you owe. Note that you will incur penalties if you withdraw money before age 59½ or more than what’s allowed in your contract. You can continue your tax-deferral by rolling over your fixed annuity into a new annuity. When your fixed annuity matures, you’re not obligated to withdraw your funds. You can choose to roll it over into another fixed annuity or a different type of annuity through a tax-free 1035 exchange. Investment decisions should not be made individually or in isolation. Instead, consider your entire financial portfolio and situation when investing. Here are some ways to think about a fixed annuity fitting into your portfolio strategy. When diversifying your retirement portfolio, you will likely select a combination of equities and bonds that’s appropriate for both your risk-appetite and your age/investment horizon. 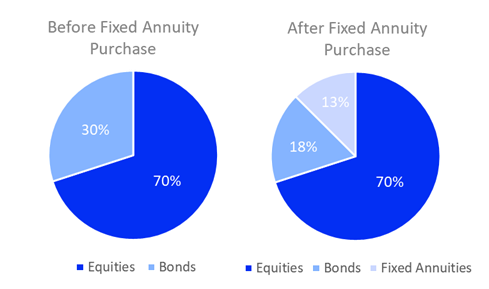 As a fixed income investment, fixed annuities have a place in any well-diversified portfolio. Consider your fixed annuity purchase as portion of your assets you’d otherwise have allocated to bonds. Back to our example: 55-year-old Kelli’s $800,000 in savings are currently invested at a 70/30 mix of stocks and bonds. She wants to maintain her equity exposure and overall investment mix when she purchases a $100,000 5-year fixed annuity. How does she do it? At a 70/30 mix, Kelli had $560,000 (70%) invested in equities and $240,000 (30%) invested in bonds. After transferring $100,000 to a fixed annuity, Kelli will have to rebalance the remaining $700,000 to an 80/20 mix. Doing so maintains her $560,000 exposure to equities and decreases her investment in bonds to $140,000. Once adding back in the $100,000 fixed annuity, which acts as a fixed income investment, Kelli has maintained her desired 70/30 portfolio diversification. Breaking up your purchase into multiple fixed annuities with different contract terms is a useful strategy in a low interest rate environment. A fixed annuity laddering strategy accomplishes two things: you’re able to secure a higher interest rate today that’s only available for longer time commitments while also creating multiple opportunities to reinvest at potentially higher future rates. For example, instead of buying one 5-year fixed annuity, you could buy 3 fixed annuities with maturities of 3-years, 5-years, and 7-years. The money locked in for longer will be eligible for higher rates today. And, you’ll have liquidity available at multiple dates in the future, which makes it more likely that you’ll catch rising rates. If Kelli employs this strategy, she’ll split her $100,000 purchase into multiple smaller purchases, keeping the average investment term close to 5 years. Based on current rates and her personal circumstances, Kelli decides to split her investment evenly between 3-year, 5-year, and 7-year fixed annuities, crediting 3.10%, 4.00%, and 4.10% respectively. This way, she’ll have funds maturing in 3 different years, giving her more reinvestment opportunities. Chart shows investment and cumulative pre-tax interest. Fixed annuity rates based on three $33,333 MVA policies from Colorado Bankers Life and Sentinel Security Life. Rates as of 9/7/2018. With your fixed annuity, you have several options upon maturity. If you are planning to annuitize your fixed annuity, you may be better off purchasing a longevity annuity today. The money you invest in a longevity annuity will produce a guaranteed lifetime income stream starting at some point in the future, resembling what your annuitized fixed annuity will look like. Whereas the fixed annuity will become liquid at the end of the contract term, the longevity annuity is locked-in, and its value can only be accessed through income payments. A fixed annuity plus annuitization strategy has more liquidity and optionality, but a longevity annuity will offer higher income payments. The two strategies are summarized in the table below. Purchase Money is invested in a fixed annuity Money is invested in a longevity annuity. Deferral Phase Account accumulates with interest. Some liquidity is available. Insurance company invests your money, but its growth is invisible and illiquid. Payout Phase Income payments begin immediately and continue for life. Income payments begin at the end of the deferral period and continue for life. Fixed annuities are relatively simple investments, but there’s still some terminology, features, and options that you’ll need to understand. We’ve outlined some key concepts for you here. Note that typically the surrender charge period will be the same as the rate guarantee period, but products are occasionally structured to have a longer surrender charge period. In this case, the guaranteed rate will be in effect for only a few years, after which you’ll earn the renewal rate until the surrender charge period ends. This option could make sense if you expect interest rates to increase, but it’s generally not something we’d recommend. Fixed annuities typically allow you to access a portion of your money penalty-free. The allowance will differ from carrier to carrier, but it’s often cumulative interest or 10% of the account balance. You should only plan to take advantage of these withdrawals if you’re at least 59½, as the IRS imposes a 10% penalty on withdrawals made before you reach that age. Note that if your fixed annuity is qualified and was purchased within a 401(k) or IRA, any applicable required minimum distributions will be withdrawable penalty-free. There are two types of fixed annuities: those with a market value adjustment (MVA) or without, known as book value (BV). The MVA or BV classifications only impact you if you decide to withdraw funds early. In the case of a book value fixed annuity, the amount you’re able to withdraw will simply be the account value less surrender charges described above. However, a fixed annuity with a market value adjustment could reduce the amount you’re able to access upon surrender. The market value adjustment will, as the name suggests, adjust the amount you’re able to surrender based on market conditions at that time. If interest rates have gone up since purchase, an additional fee will be assessed that lowers the withdrawal value. The reverse is also true. If interest rates have gone down since purchase, the amount you’re able to withdraw will actually increase. While seemingly bizarre, fixed annuities with MVAs are actually very common and well-liked, offering higher interest rates than their BV counterparts. The market value adjustment protects the insurance company from adverse behavior by charging you for surrendering in a rising rate environment. That’s because the insurance company would otherwise lose money liquidating assets to fund your surrender (bond prices go down when interest rates go up). Having this downside protection means they can offer you a higher rate. It’s now possible to make your fixed annuity purchase online. Instead of in-person meetings and paper applications, we’ve built the technology to provide you real-time fixed annuity rates online and generate your application for the insurer digitally. Despite our tech-enabled approach, we’re still fiduciaries, licensed to provide these products to you, and available via chat, email, or phone to provide personalized assistance. Check rates using the free Fixed Annuity Marketplace, being sure to filter them by your state and the amount you want to invest. Review the details of the annuities and your rates. Fixed annuities are largely uniform from carrier to carrier, meaning you can make your decision based on just two things: the interest rate being offered and the insurer’s credit rating. An insurer’s credit rating, similar to a bond’s rating measures their financial strength and ability to meet future obligations. Like bonds, the higher the credit rating, the lower the rate. Buy the product that offers the best rate at the rating that’s right for you. What Should I Do with My Fixed Annuity at Maturity? A summary of the different options you have when your fixed annuity matures.